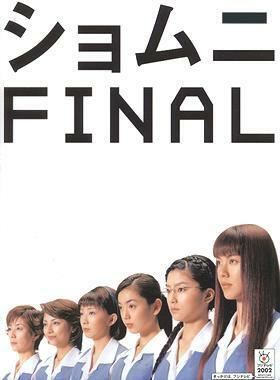 Shomuni Final is a comedic drama serial, continued from Shomuni 2. Tsuboi Chinatsu, the most hated GA-2 by the Personnel Department, has resigned from Manpan Corporation. During the wedding reception, she asks four of the five female GA-2 employees (all of them except Tsukahara Sawako) whether they wished to have a little bet on whether Tsukahara Sawako would lose her virginity by the end of the month (30th of June). At the same time, Sawako is made the new "de facto" leader of GA-2, and she struggles to fill the boots left behind by Chinatsu.